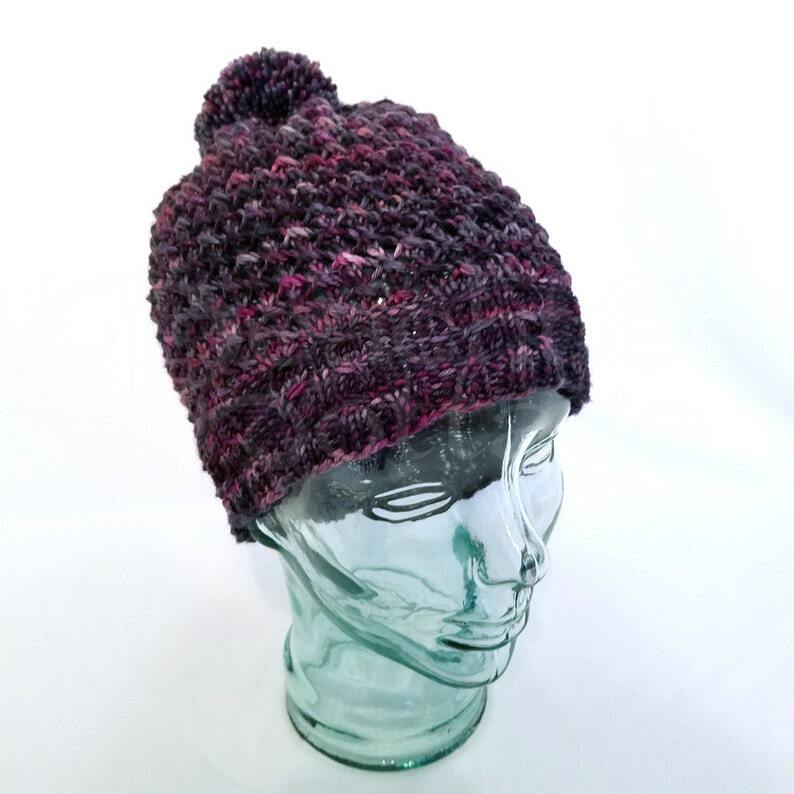 This beautiful hand knit slouch hat was made with 100% superwash merino yarn in lovely rich colors. Shades of deep purples accented with gray and pink make for a beautiful winter hat that is not only pretty but functional as well. This knit slouchy beanie would make a perfect gift for others or for yourself!